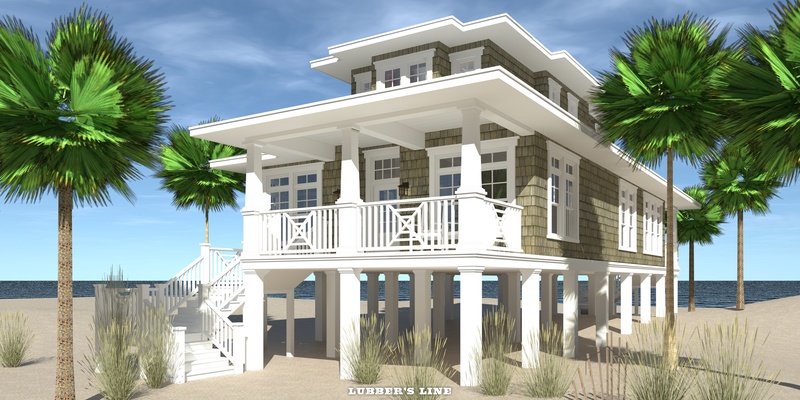 The Lubber’s Line House Plan. 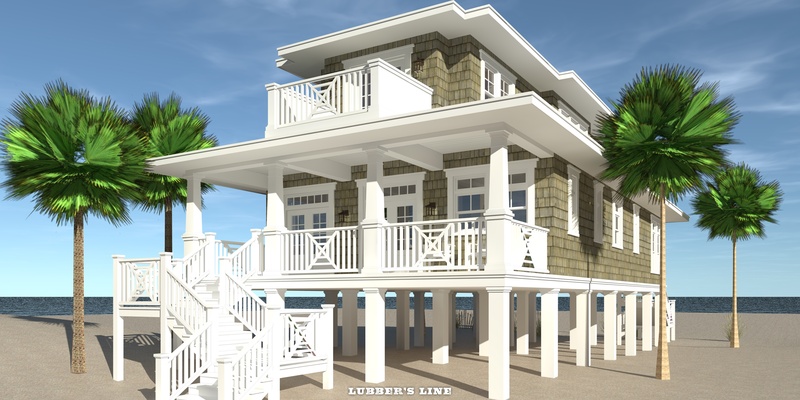 Lubber’s Line is the ultimate in oceanfront casual entertaining. 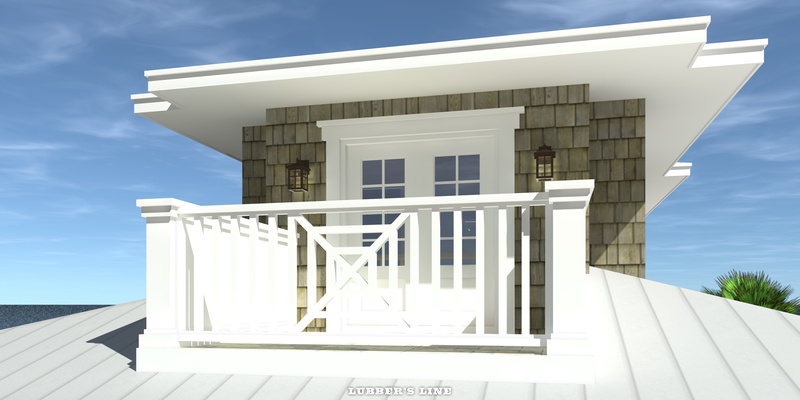 Two bedrooms flank the entry foyer and hallway. 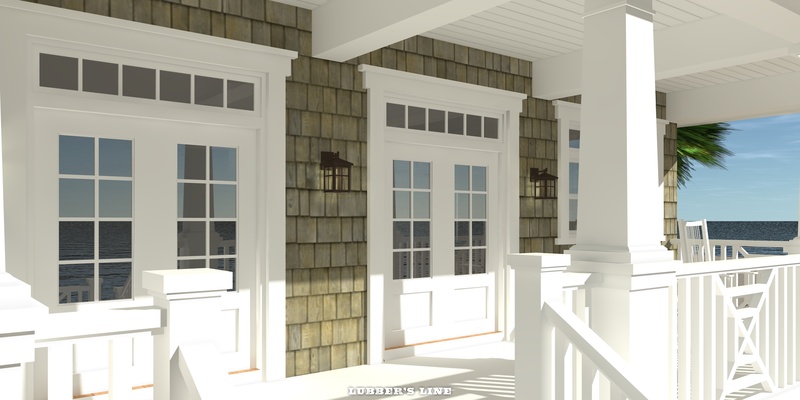 Beyond, the home opens to an ornate stairway, dining, living and kitchen. 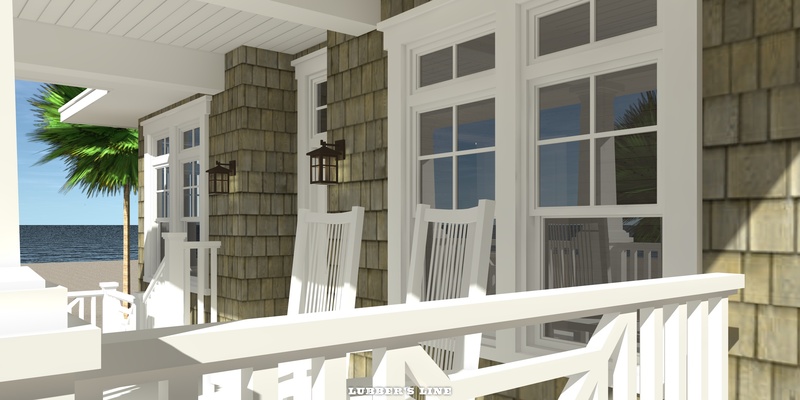 The kitchen and living room open to the porch through two sets of french doors. Upstairs, the third and fourth bedroom suites have spectacular views. Open parking below the house.